Entertaining family and sometimes even friends, especially around the holidays, can be super stressful. And I don’t know about you, but Super Easy sounds way better than super stressful! I mean, let’s face it. Potato Gratin can be daunting. It takes a long time to bake and there is no getting around that. But what about the rest of the process? 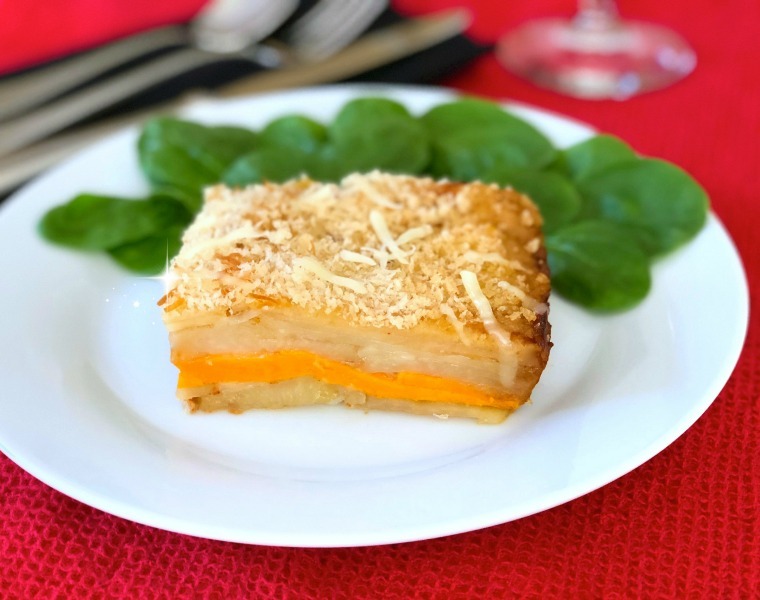 In the spirit of keeping things a little more simple, both in technique and ingredients, let’s make Super Easy Two Potato Gratin. Serves 6-8. 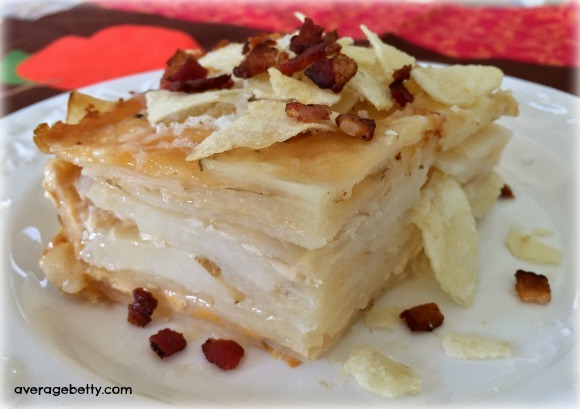 Watch the Super Easy Two Potato Gratin Video for added instruction and entertainment. 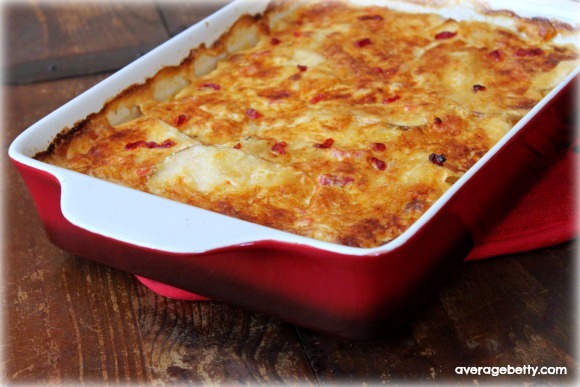 When the internal temperature of the gratin is 210(F), the potatoes will be cooked through and tender. 1) In a large bowl, combine chili powder, paprika and salt. Stream in buttermilk and combine well. 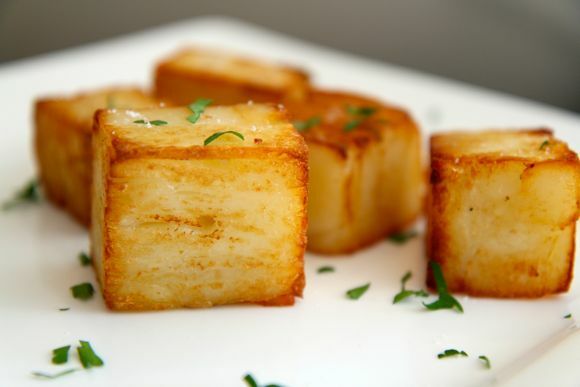 2) Peel and slice potatoes one at a time and immerse slices in buttermilk mixture. 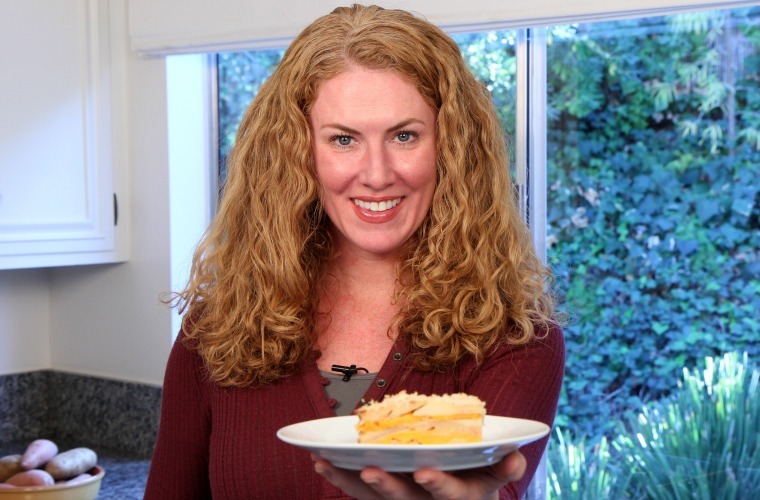 3) Brush the bottom of an 8″ – 9″ baking dish with melted butter. 4) Layer the soaked Russet potato slices first, then a layer of sweet potato. 5) Halfway through layering, distribute one half of the shredded cheese. 6) Finish layering potatoes and top with remaining cheese and panko bread crumbs. 7) Cover with foil and bake in a preheated 375(F) oven for one hour. Uncover and allow to finish baking and become golden, another 30 minutes. Entertaining family, and sometimes even friends, can be stressful enough. MORE GRATIN? YOU GOT IT! Check out this video and hundreds more on my YouTube Channel and… SUBSCRIBE!